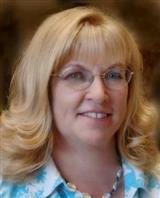 Lana Lavenbarg has been a licensed real estate agent in Grants Pass, Oregon for many years. She knows the Grants Pass market and the area where her properties are bought and sold. With this kind of experience and dedication to her client’s needs, you can’t go wrong with choosing Lana as your agent. You can view homes for sale right on the website. There are many options to choose from to customize your search so that you are only searching for homes fitting your criteria. Lana will guide you through the real estate process one step at a time. If you are looking to buy or sell a home in Grants Pass, Oregon, call Lana Lavenbarg today. Mortgages are available at very affordable rates and homes are being sold for much less than their appraised value. Take advantage of these amazing opportunities to be a homeowner today.